I started this blog with the intention of connecting and creating a dialogue with other collectors. So feel free to comment, like and follow! You can also connect with me on Facebook and Twitter. When I was a kid, cars weren’t for collecting, they were for playing with. In fact, the oldest cars of mine were hand-me-downs from my big brothers, so they had been played with a few times before they even got to me. 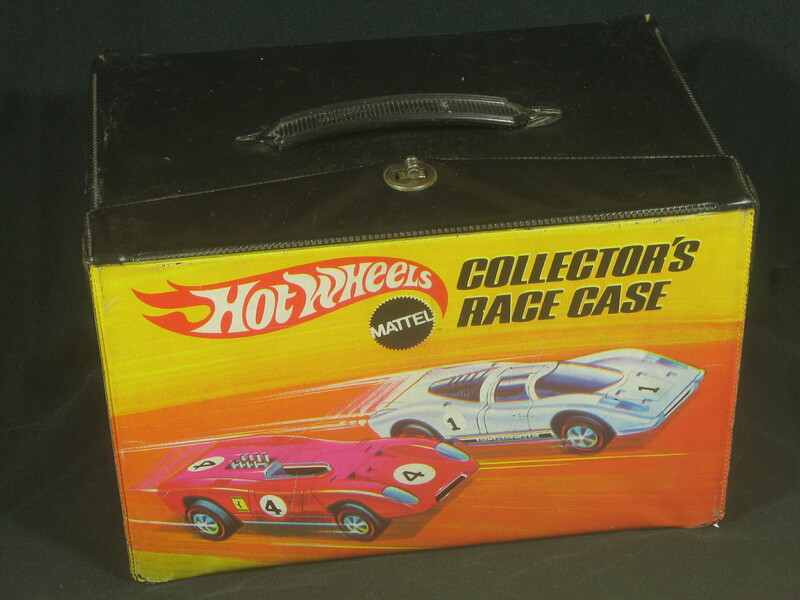 I enjoyed my cars and was fond enough of them – even as I became and adult – that I held on to them, tucked away nicely in the vintage Hot Wheels Collector’s Race Case pictured here. My family was a Chevy family and most of my brothers drove Novas. The first car that I drove was 1969 Chevy Impala that an older brother had loaned me to use when I was in high school. It was a brown 4-door with a tan vinyl top that was peeling off and it had been rear-ended by a tow truck. It was ugly and much of the time I couldn’t get it started, but I was glad to have the use of it. 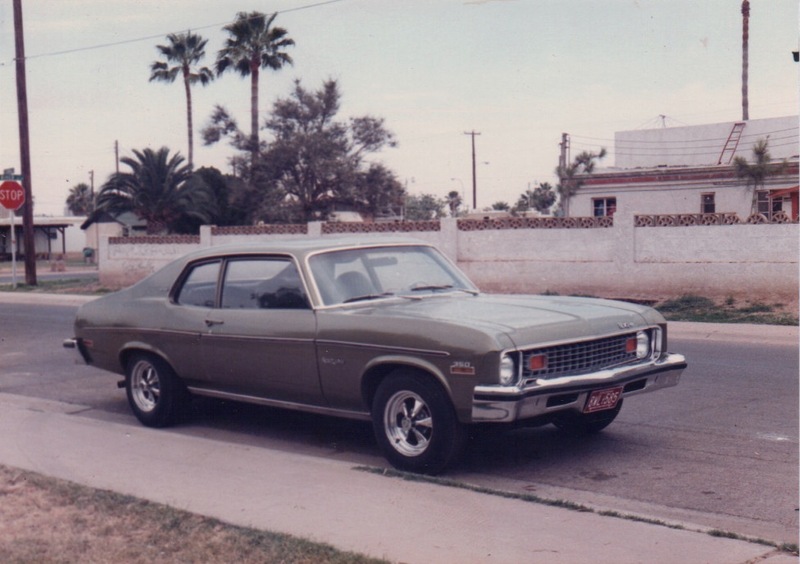 The first car I bought for myself was a 1973 Chevy Nova 2-door hatchback that I found at a used car lot. It had been wrecked too, and had a healthy percentage of bondo under the green-gold metallic paint. It also had a bent rear axle, a leaky transmission and a decaying exhaust system, but I loved it anyway. I paid $1200 for it and when it was totalled 10 years later the insurance company wrote me a check for $1200. 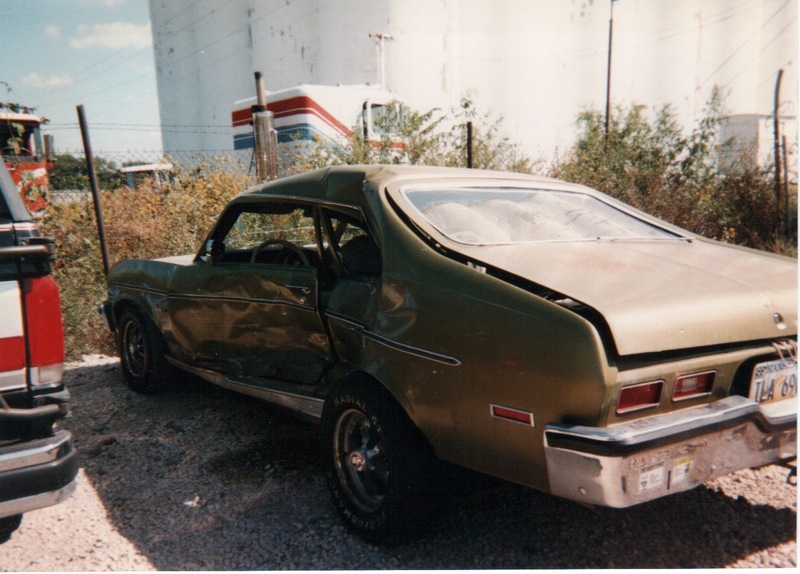 Here’s a photo of the Green Goblin shortly after I bought it in 1985. And here’s a photo of it shortly after it was wrecked in 1995. All of that heavy Detroit steel probably saved my life. I never bought another real Chevy, but I never stopped enjoying cars, real or otherwise. I started occasionally buying Hot Wheels or other die cast toys that I liked. Eventually, I had a decent number of Impalas and my adult collection was born. Things really took off when Hot Wheels released a ’68 Nova as one of the 2004 First Editions. I bought up enough of those to give one to each of my brothers, though I’m not sure they were as excited about the whole thing as I was. Currently, my collection includes about 170 Impalas and 70 Novas. 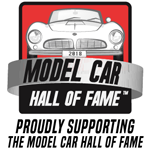 The focus of this blog will be the third part of my collection, the vintage cars, mostly from the 70s. I thought it would be fun to share what I’ve collected with anyone else who might be interested. 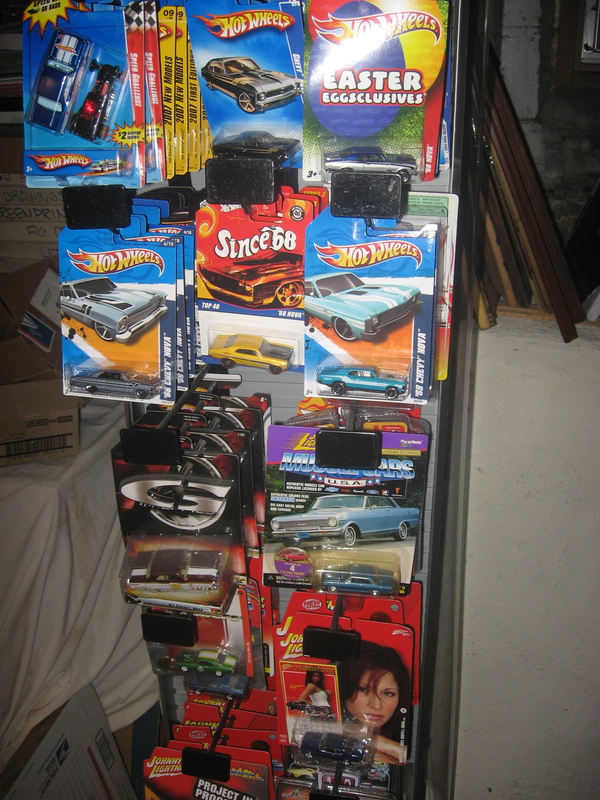 The stairs to the unfinished basement make a good place to display all of my Hot Wheels Impalas. 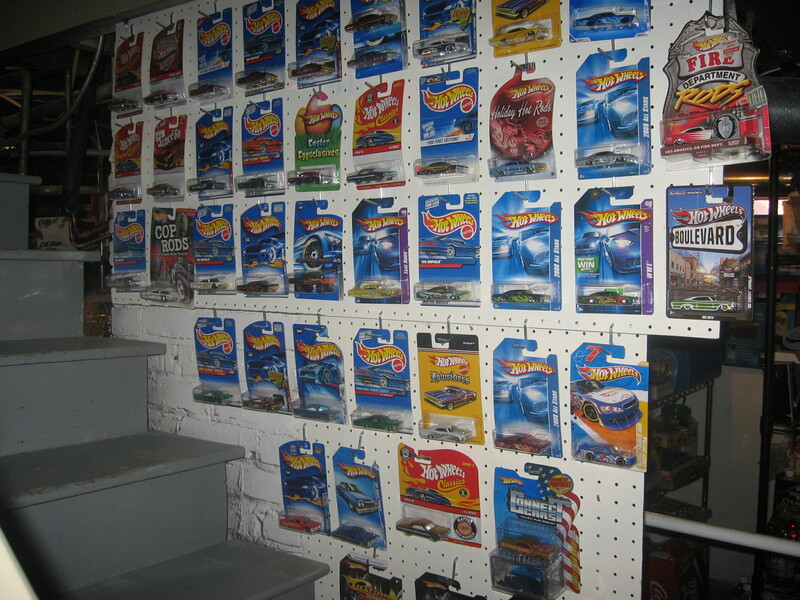 Another side of the basement stairwell holds most of my Johnny Lightning Impalas, as well as many more Impalas. I bought a nice retail display at a garage sale and I use it to hold my Nova collection. Marc Bosworth is an artist who teaches printmaking and works as an art director. Born into a Chevy family a couple of years before the first Hot Wheels were released, he is an avid die-cast car collector whose treasures range from vintage Lesney/Matchbox models to the latest Johnny Lightning releases. The Race Case was created to showcase his collection and to serve as a platform for ruminations on all things related. He lives in a 100-year-old bungalow in Wichita with his lovely wife and their young ninja son. I think your blog, The Race Case, is a fantastic example of what we are looking for – it is fun, dedicated, specific, informative, and well written, with great imagery. So with that I would love to invite you to visit our community, and to ask you if you would like us to list your blog under WalkedThru Die-Cast Cars perhaps? Feel free to visit our website and to get in touch. Thanks, Luke, I’m glad you like my blog! And thanks fork the invitation – I look forward to being a part of the WalkedThru community! Hi Marc. I just recently stumbled onto your blog after just starting my own, https://arshur.wordpress.com/, a few weeks back. I only really collect M2 Machines vehicles, and only started about 2 months ago, but do have a couple Auto World and Hot Wheels (not including all the random ones I have in a bin from when my brother and I were younger). I saw that you really liked the Auto-Haulers series, and I have to say that I do too. Only have pictures of a few that I own currently posted, but soon hope to add some more. 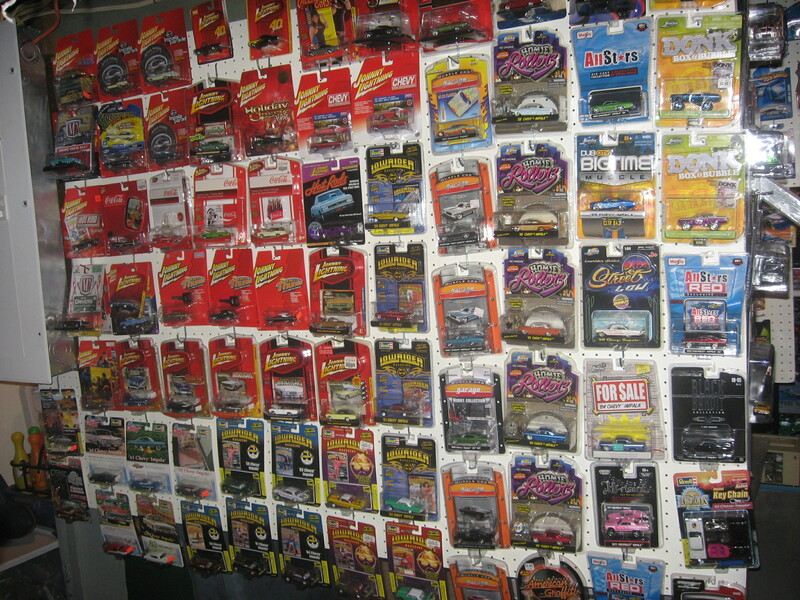 Your collection is quite impressive and I really like the blog.